Today I went in to Joe’s class and together we made placemats. 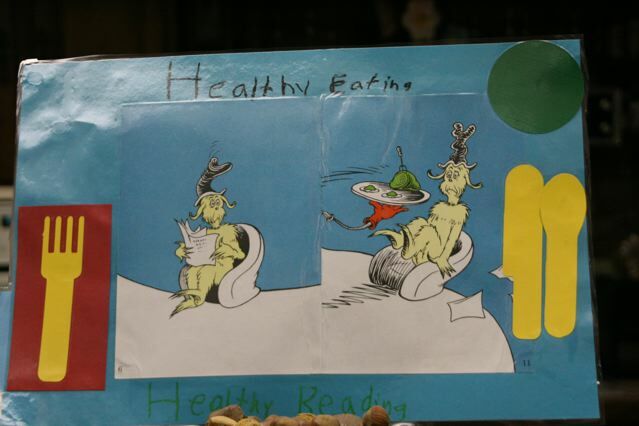 On the front is a double page from a Dr. Seuss book that I pulled apart and a place setting example. 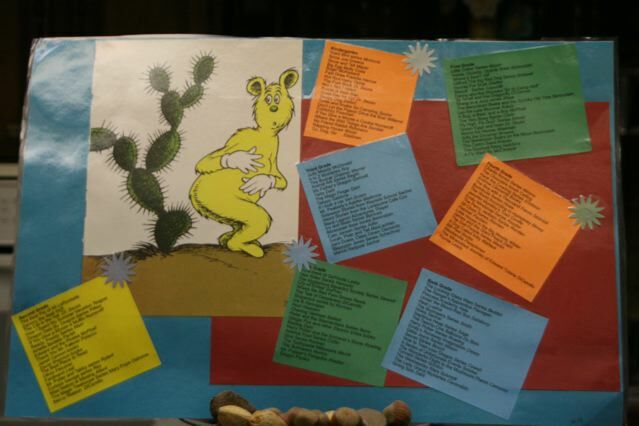 The back side is a single page from a Dr. Seuss book and fun books to read by grade level. I had fun, I think they mostly had fun…..it was a good day.